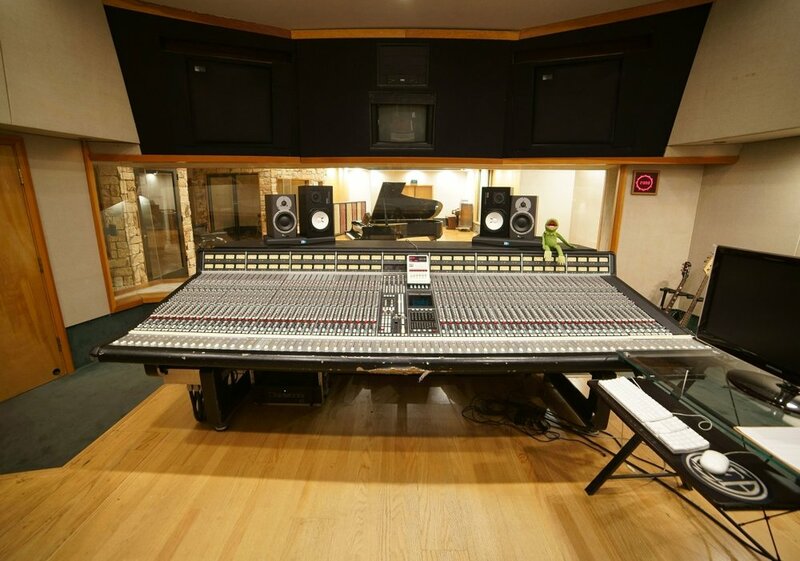 The Recording Arts Center offers hands-on training in audio engineering and music production within Studio West, San Diego's largest commercial recording studio. Our 12-month Diploma in Recording Arts program prepares students for a variety of creative careers in areas such as music production, game audio, live sound, audio post-production and video production. Our faculty of working professionals have years of experience in music, television, and film, and are happy to share their knowledge. Meet our team. Our program prepares students for a wide variety of careers in the music, television and film industries. See some of the exciting things our graduates are up to. Our spacious facility features three world-class recording studios and well-equipped classrooms with individual workstations for each student. "If you are interested in becoming an audio engineer, this is the place to be!" The best way to understand if our program is right for you is with a personal interview, by phone or— better yet— in person with a tour of our facility. We’ll discuss your experience, interests and aspirations and figure out if what we offer is right for you. We don’t do a hard sell. This career path isn’t right for everyone, and an interview helps you determine if it’s right for you. Students who decide to enroll will be asked to complete a simple application form. Proof of High School diploma or GED is required for acceptance. Call 858.592.0556 to hear more about our program or to schedule a tour. The Recording Arts Center at Studio West offers several flexible plans for paying tuition. An Enrollment Deposit (30% of total tuition) is enough to secure a space in an upcoming program. If a student is able to cover the balance of the tuition over the course of the program, we simply add an administrative fee of $150 and split the balance into 3 equal payments. If a student needs longer to pay off the balance, The Recording Arts Center offers monthly payment plans for up to 60 months to qualified applicants through our partners at TFC Tuition Financing. If payment is made in full 60 business days prior to a start, students are entitled to a $500 discount. If payment is made in full 90 business days prior to a start, students are entitled to a $750 discount. TFC Tuition Financing has served over 2,500 schools and over 500,000 students since 1970. They are firm believers in helping the education sector grow, working with schools of all sizes – from multinational education corporations to small individual schools with a single campus. + What's the daily schedule? Our program is full time and classes are held between 9am and 4pm, Monday through Friday. We break the day into two sessions, 9am to noon and 1pm to 4pm. Some days students will have classes all day; other days in the morning only or the afternoon only; and occasionally they'll have a full day off. We schedule a ‘catch up’ week every quarter, where there are no classes and students have the chance to catch up on projects. We also honor all public holidays. The program averages 20 hours per week. Students book studio time in the evenings and weekends, plus weekdays when classes aren't scheduled. + When does the next music production program begin? We typically start 3 music production programs in a calendar year. Although TRAC doesn’t participate in Federal Financial Aid Programs, we do have payment plans that can spread the cost of tuition over multiple years. Go to our Funding Options page for more information. + Can I use my VA benefits? We are not currently able to accept GI Bill benefits, but we are in the process of completing the necessary application with the Veterans Benefit Administration. Let us know if you would like to use your benefits and we can add you to the mailing list of people who we are keeping updated on the status of our application. + Will I get to use the studios at Studio West? Yes! Students in our program get to book studio time in all three of our world-class studios throughout the program. This is an essential component of our program and is one of the things that makes us unique. + Are Avid certifications part of the program? Yes, Avid certifications are a key element of the program and you will have the opportunity to obtain a wide array of these critical certifications throughout the program. All classes are held at Studio West, in the Rancho Bernardo area of San Diego, about 25 miles north of downtown. We have two dedicated classrooms with individual computer stations running Pro Tools, Logic, Abelton Live, Reason, Media Composer and a wide range of software plug-ins. Many classes are held in one of the three studios at Studio West, and students also get to book time to work on projects. In addition to the classrooms and studios, we have an Edit Suite and a library stocked with periodicals and reference books. + Who are the faculty? Our instructors are industry professionals, many of whom have decades of experience. We've put together a team of professionals who really know what's important to teach, and who enjoy sharing their knowledge. We never have more students in a class than workstations, which means that there is a maximum of 12 students per class. Some classes in the studios will have smaller group sizes to enable students to get hands on with the gear. We pride ourselves on offering the best possible educational experience to our students. "I can't say enough wonderful things about Studio West. Our son graduated from the The Recording Arts Center program. What they've taught him and given him as far as experiences completely exceeded our expectations. He has a resume starting out that would take most three years to accumulate. There's nothing like watching your kid become exactly who he's meant to be. If you've got a child like mine who's alway dreamt of immersing themselves in the music industry, I'd recommend Studio West to anyone interested in becoming a true professional. The support that our son received from Peter Dyson and his team completely surpassed our expectations....they don't just educate... They inspire!" Studio Management/Staff- Interact with clients and schedule clients with the right facilities and engineer. Run the day-to-day operations and communicate with engineers what the needs of the clients are. Prioritize maintenance and software upkeep. Bring in clients and advertise studio to possible clients. Help create and manage a budget and make sure the studio is up-to-date with needs of the clients. Recording /Mixing Engineer- Record a variety of different music genres and scenarios - anywhere from large orchestras to rock bands or vocalists. Edit large sessions and blend all the tracks together with the ability to mix a commercially viable song, EP or album. Mastering Engineer- Get all mixed songs up to proper commercial levels. Maintain sonic consistency across all songs in a project. Enhance the mixed tracks. Embed all metadata into the audio files. Archivist and Restoration- Transfer older audio tracks (such as analog tape and vinyl) to a modern digital format. Clean up unwanted noise such as tape hiss, hum and buzz, distortion, digital noise, and scratches on vinyl. Repair and Facility Maintenance Tech- Maintain and repair all gear in the studio(s). Maintain software updates and computers. ADR Engineer- Re-record dialog that may be missing or too noisy due to ambient noise on sets of Movies/TV Shows/ and commercials. Record voice actors for animated movies. Re-Recording Mixer- Mix recorded dialogue, sound effects, and music to create a final version of a Movie/ TV sound track. Dialog Editor- Edit all the recorded takes of the dialog together. Take out any background noise or unwanted noise and make sure the dialog levels are consistent in each scene of a Movie/ TV show. Archivist- Make sure all final mixes and audio are stored and labeled properly for long-term storage. Make sure all hard drives are labeled and properly functioning. Keep all sound libraries up-to-date and ensure all metadata is properly labeled to easily search data bases for various sound effects. Video Game Audio Engineer- Record, mix, and place all audio within video games. Sound Designer and Foley Artist- Record sound effects for movement and action within a scene of a TV/ Movie. Acquire, manipulate and generate audio elements for the TV Show/ Movie. Forensic Audio- De-construct and clean up audio for legal cases. Front-of-House (FOH) Engineer- Mix live concerts for the audience. Monitor Engineer- Create independent mixes for each artist on stage for a live performance. Repair Tech / Backline - Maintain gear used in live events. Build custom speakers, cables and racks. System Designer- Design a custom audio/ lighting system for each tour catered to the client. Tech for Corporate A/V- Set up and run audio/ video/ and lighting for corporate events such as conventions. Installation Tech- Install permanent audio and video systems in venues, offices, churches, high end homes and businesses. Sales- Interact and sell products to retailers and individual customers. Customer and Technical Support- Handle trouble shooting and training of software/ hardware for customers and sales reps (over the phone and/or in person). Industry Outreach and Training- Keep users and clients up-to-date on all product lines. Organize and execute various training sessions. Setup and organize conventions and other industry events. Repair Tech- Repair any gear returned to the company damaged. Duplication/Replication Plant Engineer- Upkeep and run all duplication and replication software and hardware. Vinyl Cutting Engineer- Master audio to specs of vinyl and cut the initial mold for the record. Music Technology Educator- Teach students different disciplines in the audio and music industry. Video Editor- Edit video together and ensure the final video looks commercially acceptable. Make seamless scene transitions. Correct or enhance color. Incorporate any other visuals (such as wording or animation) into video. Corporate Marketing Communications Support- Work in the marketing side of a company to help design media (audio/video/ web based) to support various products.